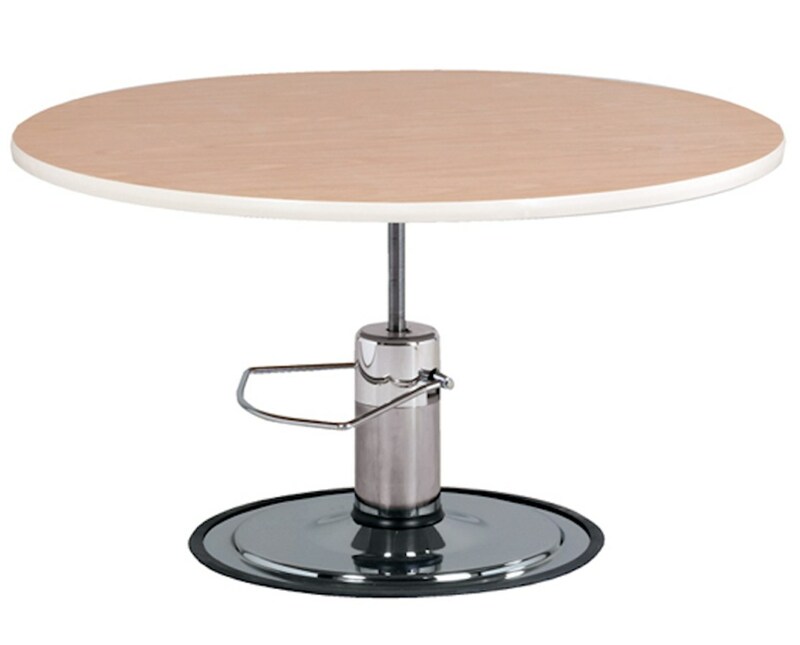 The Clinton Industries Round Laminate Top Hydraulic Work Activity Table is a versatile, durable and well-designed medical device used in physical, occupational and rehabilitation therapy. It is made to provide patients a specific work area to do the necessary tasks included in their therapy. Sturdy, Solid and Adjustable. 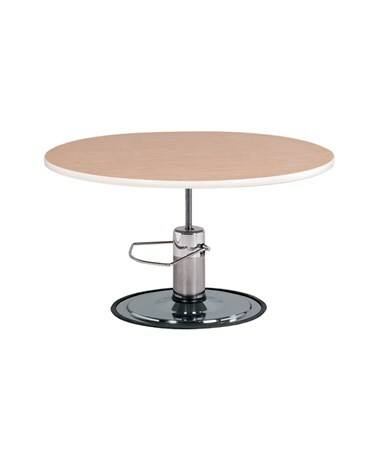 With its 1 1/8" all-laminate top, the Round Laminate Top Hydraulic Work Activity Table has a circular shape and a T-moulding edge bumper. It features a foot pump with swivel snug top for hassle-free height adjustability. The table has a workspace that can support up to 4 patients.